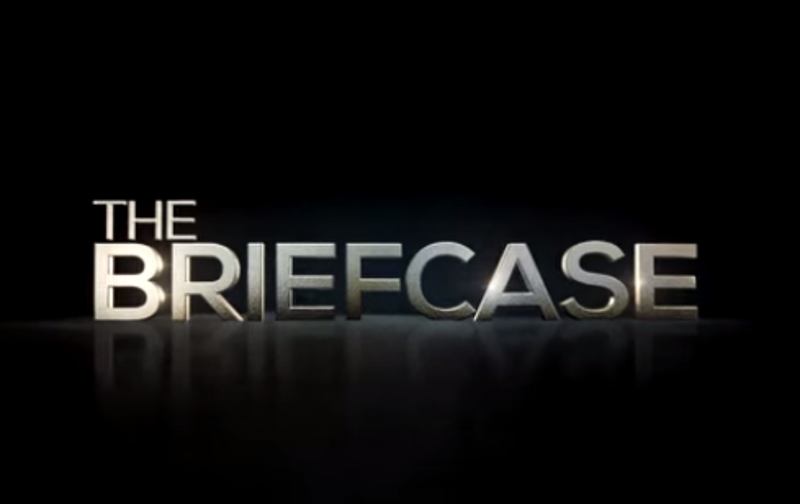 day 676: Turning Poverty into TV Entertainment: #TheBriefcase. This shockingly emotional CBS TV series, The Briefcase, has got us talking. Using poor people’s emotions, and manipulating them to create these very raw emotions for TV audience is like pitting dog against dog, for the sheer joy of entertainment and increasing TV ratings. i.e profits. The poor families are faced with a heavy choice, upon receiving their fortunate Briefcase, either to keep it, lose it all, or share it, there lies the human drama, the raw entertainment, the emotional ups and downs. And the audience sitting in their comfortable living rooms across the USA, find it entertaining. Back in 2003, I was traveling in India on a spiritual pilgrimage, many tourists, middle class to wealthy Indians are the devotees, and you can see loads of beggars en route, so there was this girl, she couldn’t be more than 11 or 12, might be even 10, for nearly an hour, she kept on following us on our spiritual walk, begging for money, and me giving her some coins wouldn’t stop her, she wanted a note, a bigger currency. Given the distance we have covered now, I was getting very worried, this child either could get lost in the crowds, or could ended up in the wrong hands. Such is the desperation of poverty, CBS could have made a killing out of her emotions. The tension on that child’s face, her anxiety, hope, efforts, will she get the money or not, while me the tourist carrying the Briefcase could have manipulated her to dance to any tune. It could have made the TV audience stick like crazy glue to their idiot boxes. After 12 years now, I can still recall her face, what poverty had made her do, how vulnerable she was etc. The moment I gave a note, with a big smile of her face, she just vanished from our sight. A co-spiritual walker in a very typical new-age spiritual way, put a spin on it and said “may be the Lord came to test you”. I think the Lord should not only STOP manipulating poor people’s emotions but also STOP creating poverty in the first place. Granted in the Briefcase, these manipulation of emotions are cruel, but there is a silver line in this dark cloud, that is, we get to see the faces of poverty, we get to hear their stories, so far poverty is only an abstract social idea, now thanks to the Briefcase, we get to hear them, see them, feel how to they feel right from the comfort of our living rooms, perhaps that’s why some really hate this show, in a very strange weird way, it questions our values. Only few of us saw that girl’s poverty-stricken face, may be if the whole of India had seen her, they might stand up for a solution that is best for all. So who knows, just like the Briefcase got us talking, it might make us think about poverty in terms of solutions as well. The Briefcase is full of grief, unless we investigate all of it, we wont’ be able to derive a solution to poverty. #TheBriefcase by Russell Brand, with his unique style of course. Day 51: Is TV show The Briefcase an abuse? A talk on emotionally slaving. Previous Postday 675: guiltNext Postday 677: Made In China: a hell for 61 million rural children.